The enthralling Sunday Times-bestselling biography of the shepherd boy who changed the world with his revolutionary engineering and whose genius we still benefit from todayThomas Telford's name is familiar; his story less so. Born in 1757 in the Scottish Borders, his father died in his infancy, plunging the family into poverty. Telford's life soared to span almost eight decades of gloriously obsessive, prodigiously productive energy. Few people have done more to shape our nation.Thomas Telford invented the modern road. A stonemason turned architect turned engineer, he built churches, harbours, canals, docks and the famously vertiginous Pontcysyllte aqueduct in Wales. He created the backbone of our national road network. His bridges are some of the most dramatic and beautiful ever built, most of all the Menai Bridge, a wonder then and now, which spans the dangerous channel between the mainland and Anglesey. His constructions were the most stupendous in Europe for a thousand years, and - astonishingly - almost everything he ever built remains in use today.Telford was a complex man: a shepherd's boy who loved the countryside but helped industrialise it; an ambitious man who cared little for accolades; highly sociable and charming, but peculiarly private about his personal life; and an engineer who was also a poet. 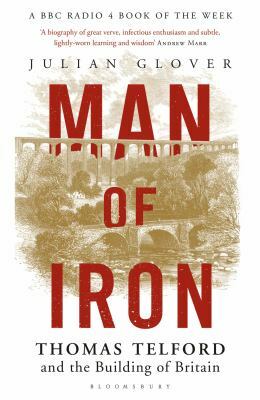 He cherished a vision of a country connected to transform mobility and commerce: his radical politics lay not in ideas but the creation of useful, solid things.In an age in which economics, engineering and national identity came together, Thomas Telford's life was a model of what can be achieved by persistence, skill and ambition. Drawing on contemporary accounts, this, the first full modern biography of Telford, at once intimate and expansive, is an utterly original portrait. 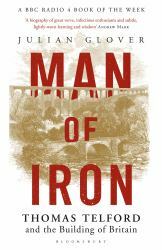 It is a book of roads and landscapes, waterways and bridges, but above all, of how one man transformed himself into the greatest engineer Britain has ever produced.